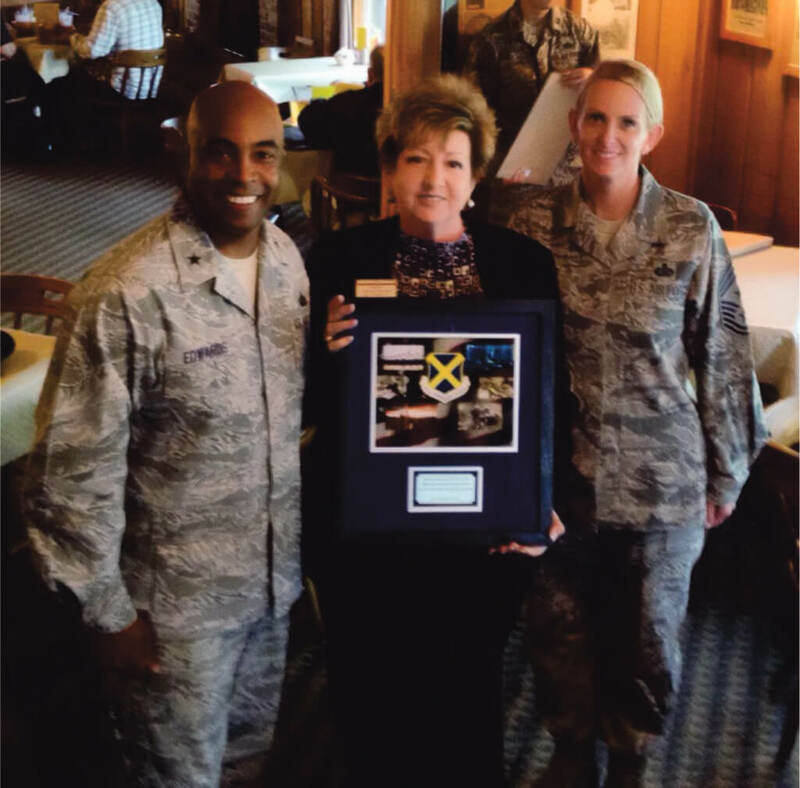 Celebrate Excellence has been recognized as one of the top corporate supporters of the 37th Training Wing. “I want to recognize Tammany Williams and her team for their outstanding support to the men and women of the 37th Training Wing,” stated Brig Gen Trent Edwards, Commander, 37 TRW. At a luncheon on Tuesday, 17 May 2016, Celebrate Excellence was one of 6 companies chosen to be recognized for their partnership and support of JBSA – Lackland. As one of his last official acts as the 37th Commander, Brig Gen Edwards honored a handful of businesses whom, in his words, “worked above and beyond the call of duty in their support of our Airmen and our mission.” Along with Celebrate Excellence, Brig Gen recognized USAA, the San Antonio Intercontinental Airport, the USO, and Acadiana Cafe as outstanding mission partners. The 37th Training Wing is the largest wing in the US Air Force. It is the home of the Air Force’s Basic Military Training and serves as the host Wing for JBSA – Lackland. Through BMT and the 37th’s myriad technical training schools – over 80,000 students graduate annually from Lackland. Brig Gen Edwards thanked Tammany for helping him with his Wing Commander and personal coin and for helping the Wing with their annual and quarterly awards.